parts of the world they have also been known as caterpillar-birds, a name derived from their diet. , the females having more subdued olive-green plumage. The genus Coracina is not monophyletic. vertebrates, and some fruit, seeds and other plant matter. in a tree. Incubation is about two weeks. White-winged Cuckooshrike, Coracina ostenta, is a species of bird in the Campephagidae family. It is endemic to the Philippines. extensive forest loss at low to mid-altitudes within its range. dark hood. Dark grey back and rump, black wings with white wing-patch across greater coverts and tertials. Black tail with white tips to outer tail feathers. Dark grey breast and belly, white undertail-coverts. Dark bill, iris and legs. 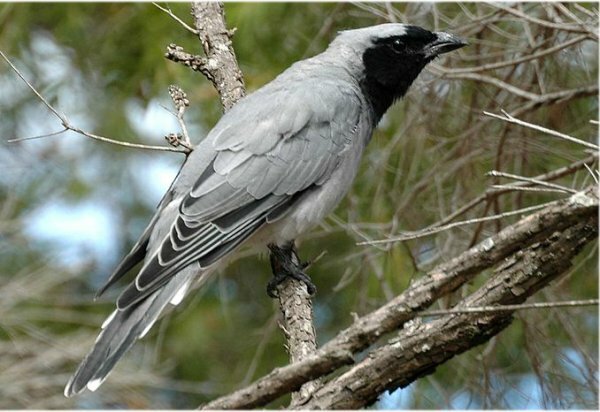 Female similar to male although head grey (lacks black hood) and underparts paler. sometimes running together to form jangled phrase. Hints Joins mixed feeding flocks. Tends to stay in the canopy. common. It appears much scarcer on Panay, where there are recent records from just three localities in the west. are largely deforested in the lowlands, it is inferred that it occupies a small, fragmented range. 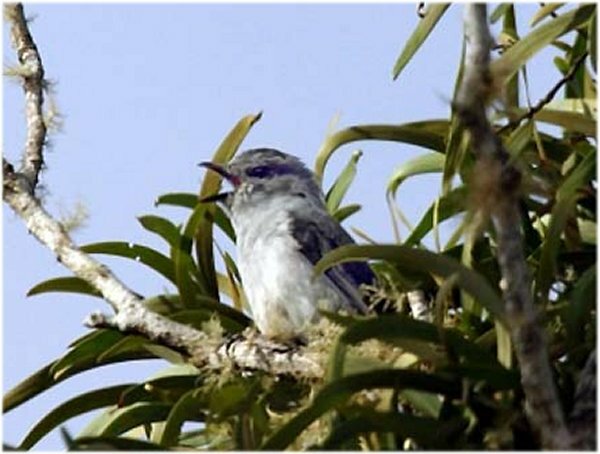 Text from BirdLife International (2010) Species factsheet: Coracina ostenta. occurring either singly or in pairs. survival and improved breeding success. subtropical forest that also often includes areas of heath Philippia montana and tamarin Acacia heterophylla. BirdLife International (2012) Species factsheet: Coracina newtoni. 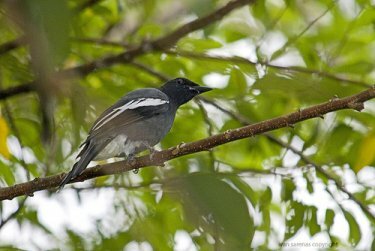 Downloaded from http://www.birdlife.org on 10/05/2012.